monastery dating to the 12th century, and the ancient wine-growing region Kakheti. 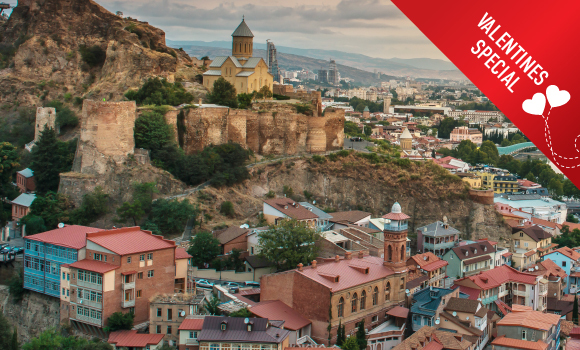 The capital, Tbilisi, is known for the diverse architecture and mazelike, cobblestone streets of its old town. the city to admire its beauty and soak in its culture.  After Breakfast at the hotel, we pick you from your hotels and start tour to Tbilisi City at 10:00.  During the tour you will visit Trinity Church, Metekhi Church, walk in Rike Park, ride the cable car to the fortress Narikala and walk in Old Tbilisi streets. You will see the sulfur baths, walk on the glass bridge (Bridge of Peace), mosque, synagogue and driver will take you from liberty square to Rustaveli Avenue.  The duration of tour is 4-5 hours.  Enjoy a comfortable overnight stay.  Enjoy a scrumptious breakfast and savour the local delicacies.  Enjoy a tasty breakfast and complete the hotel check-out. 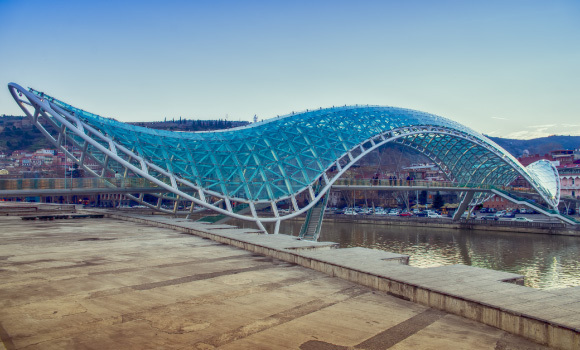  Take a local transfer from the hotel to Tbilisi International Airport.